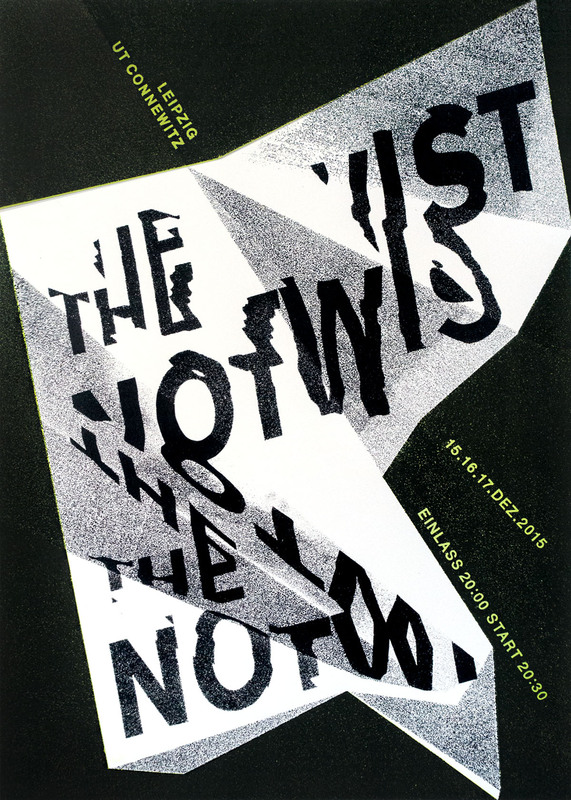 A Poster for The Notwist. 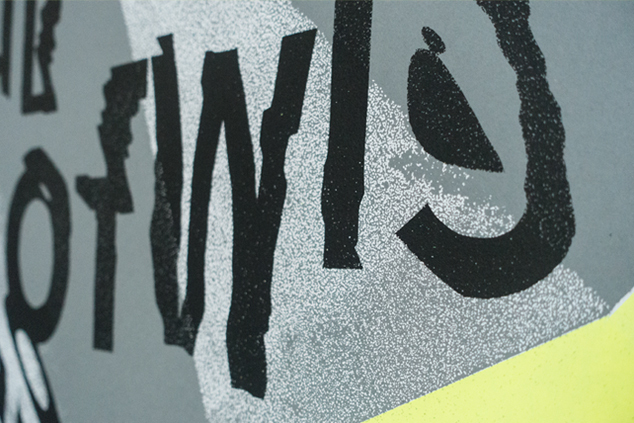 Our friends from eine Welt aus Hack invited us to collaborate for this special event. 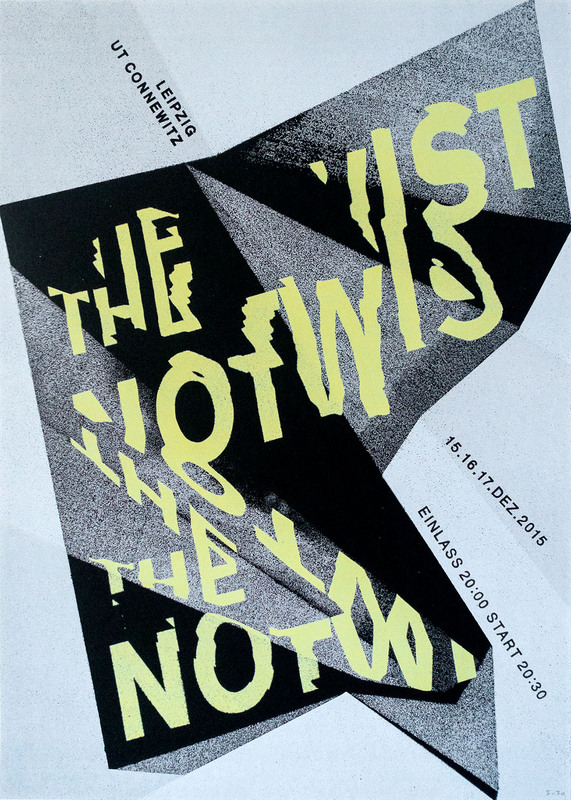 We made three variations of the design for three following up gigs at UT Connewitz in November 2015. 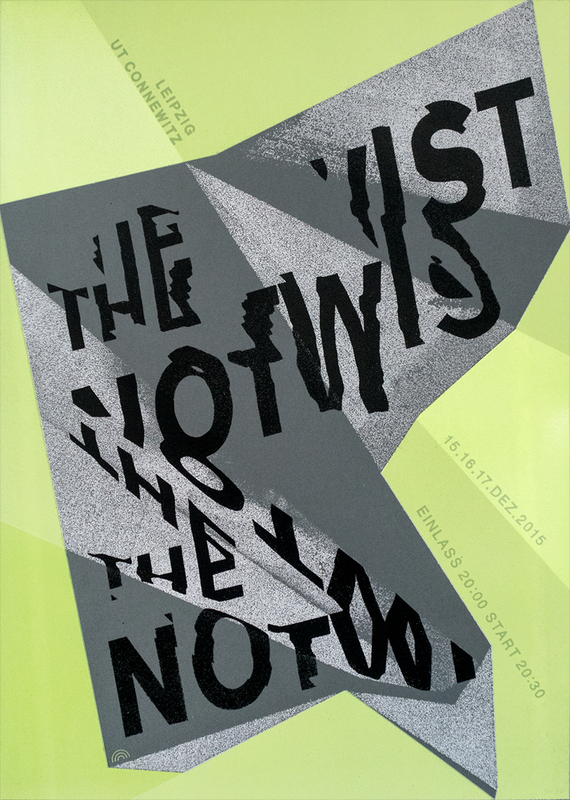 Printed in two different colors on 300g/qm creme, black and grey carton 50×70 cm. Additionally we printed a glossy varnish layer on top. 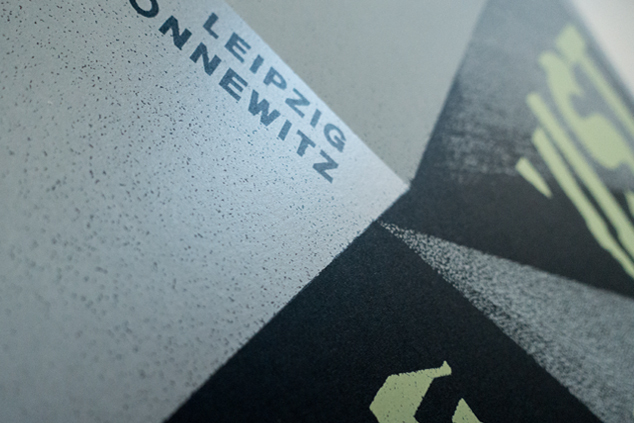 The poster is hand pulled screen print, signed and numbered.